These components are not serviced separately. 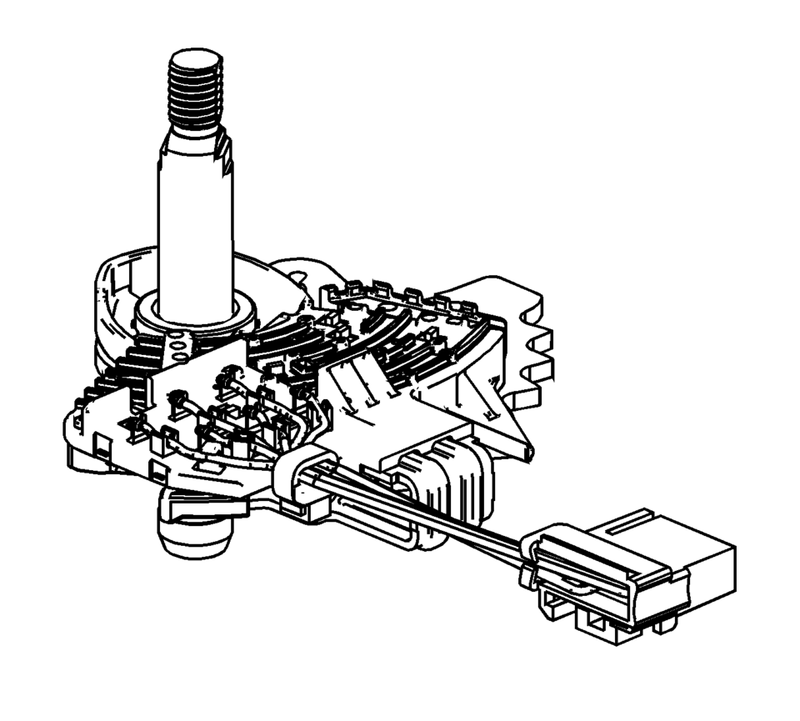 The control solenoid (w/body and TCM) valve assembly utilizes a lead-frame system to connect these components electrically to the TCM. No wires are used for these components. The control solenoid (w/body and TCM) valve assembly bolts directly to the lower and upper valve body assemblies inside the transmission. 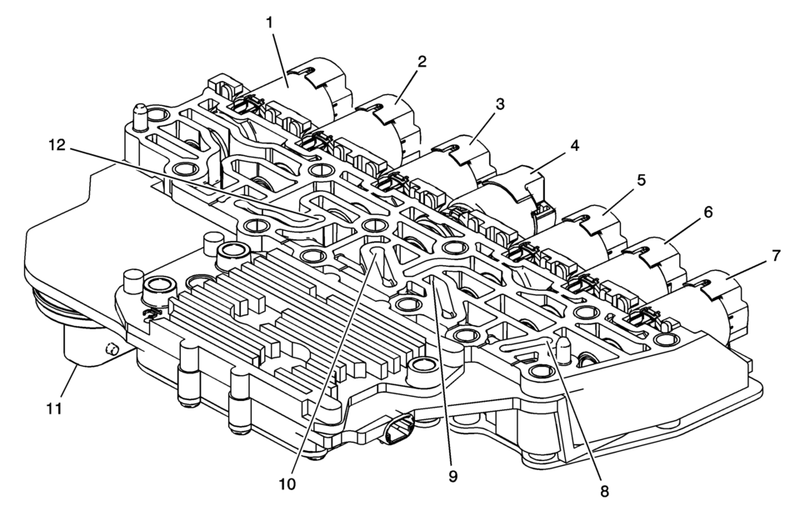 The control solenoid (w/body and TCM) valve assembly connects to the engine harness 14-way connector. 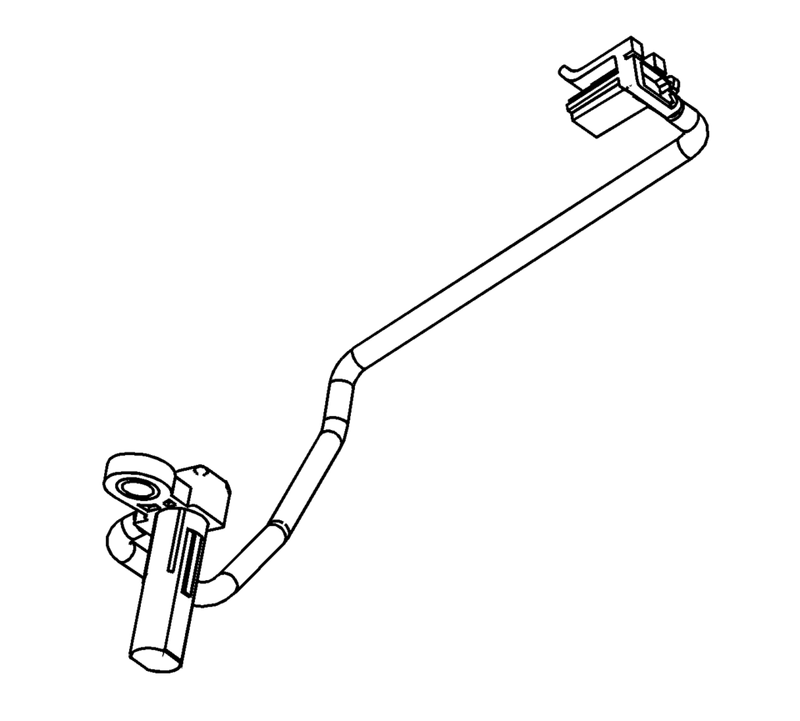 The transmission shaft position switch assembly is a sliding contact switch attached to the manual shaft detent lever assembly inside the transmission case. 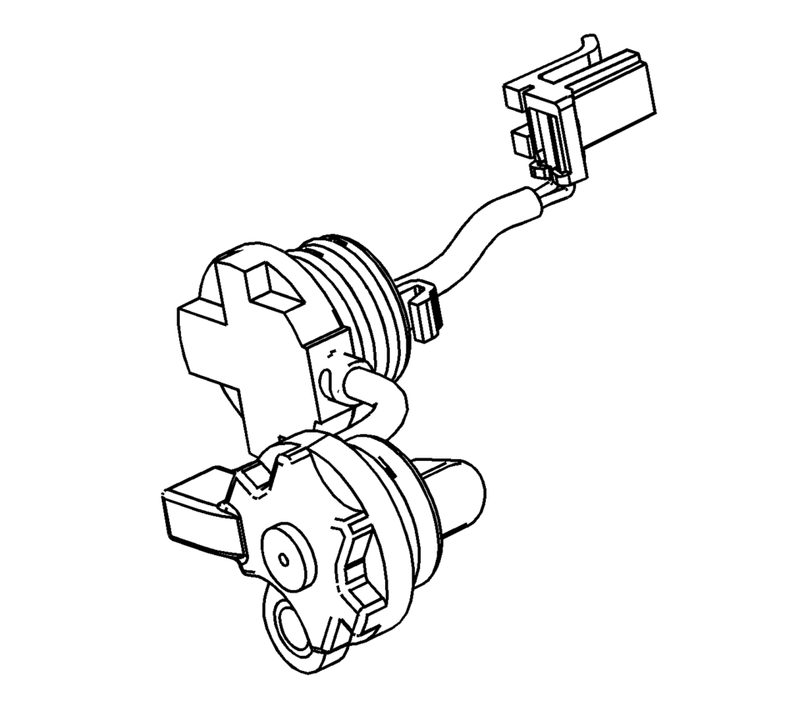 The five inputs to the TCM from the transmission manual shift shaft switch assembly indicate the transmission gear selector lever position. This information is used for engine controls as well as determining the transmission shift patterns. The state of each input is available for display on the scan tool. The five input parameters represented are Signal A, Signal B, Signal C, Signal P (Parity) and Signal N (P/N Start). The input speed sensor (ISS) is a hall-effect type sensor. The ISS mounts to the transmission case assembly and connects to the control solenoid (w/body and TCM) valve assembly through a wire harness and connector. The sensor faces the 3-5-R clutch piston housing machined teeth surface. The sensor receives 8.3?.3 volts on the ISS/OSS Supply Voltage circuit from the TCM. As the 3-5-R/4-5-6 clutch piston housing rotates, the sensor produces a signal frequency based on the machined surface of the 3-5-R/4-5-6 clutch piston housing. This signal is transmitted through the ISS signal circuit to the control solenoid (w/body and TCM) valve assembly. The TCM uses the ISS signal to determine line pressure, transmission shift patterns, torque converter clutch (TCC) slip speed and gear ratio. The output speed sensor (OSS) is a hall-effect type sensor. The OSS mounts to the transmission case below the control valve body assembly and connects to the control solenoid (w/body and TCM) valve assembly through a wire harness and connector. The sensor faces the Park gear machined teeth surface. The sensor receives 8.3?.3 volts on the ISS/OSS supply voltage circuit from the TCM. As the front differential transfer drive gear assembly rotates, the sensor produces a signal frequency based on the machined surface of the Park gear. This signal is transmitted through the OSS signal circuit to the TCM. The TCM uses the OSS signal to determine line pressure, transmission shift patterns, torque converter clutch (TCC) slip speed and gear ratio.